Soon Sri Lankans and neighboring citizens can be part of AHIBS MBA growing global network with the franchising of MBA program to the National Institute of Business Management (NIBM), Sri Lanka. 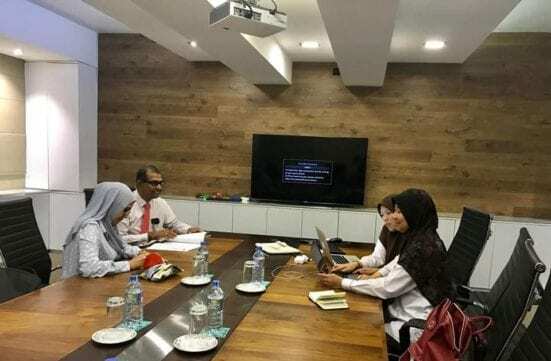 This is an output of an earlier agreement signed between UTM and NIBM that aims to promote transnational education of UTM programs to other parts of the world. NIBM has a four-decade track record in the provision of education and development programs through its five campuses throughout Sri Lanka. Under the agreement, NIBM will deliver the MBA program under close mentoring and monitoring by AHIBS and UTM SPACE. The program may also involve delivery of certain modules by AHIBS’ lecturers and outbound students mobility program in Malaysia. 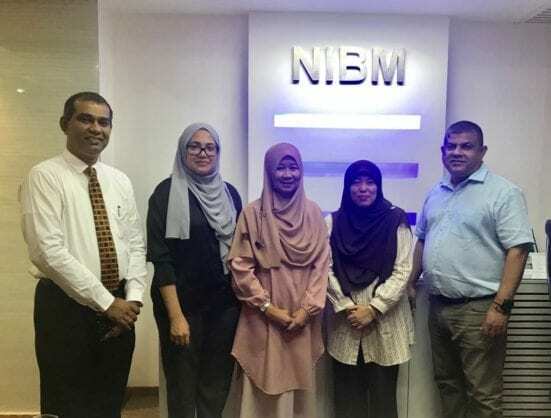 To kick off the collaboration, AHIBS lecturers – AP Dr. Rohaida Basiruddin, AP Dr. Rossilah Jamil, AP Dr. Nomahaza Mahadi flew to Colombo to conduct a 3-day training-of-trainers and academic discussion with the NIBM counterpart. This was part of long and rigorous procedures for quality assurance. This collaboration is an achievement for both ends. It is the first franchise program for AHIBS, while the first postgraduate program for NIBM (School of Business). Well done to the AHIBS transnational education team, Dr. Nor Zafir Salleh and Dr. Suzilawati Kamaruddin, and UTM SPACE for pushing the boundary.